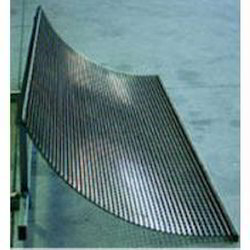 Prominent & Leading Manufacturer from Kolkata, we offer dsm sieve bend screen. We are an acclaimed name engaged in offering our valuable clients superior quality DSM Sieve Bend Screen. Standard spacing between the support rods of: 25, 50, 75,100 up to 300mm and more. Slot opening can be very micron to 0,03 mm. Looking for DSM Sieve Bend Screen ?